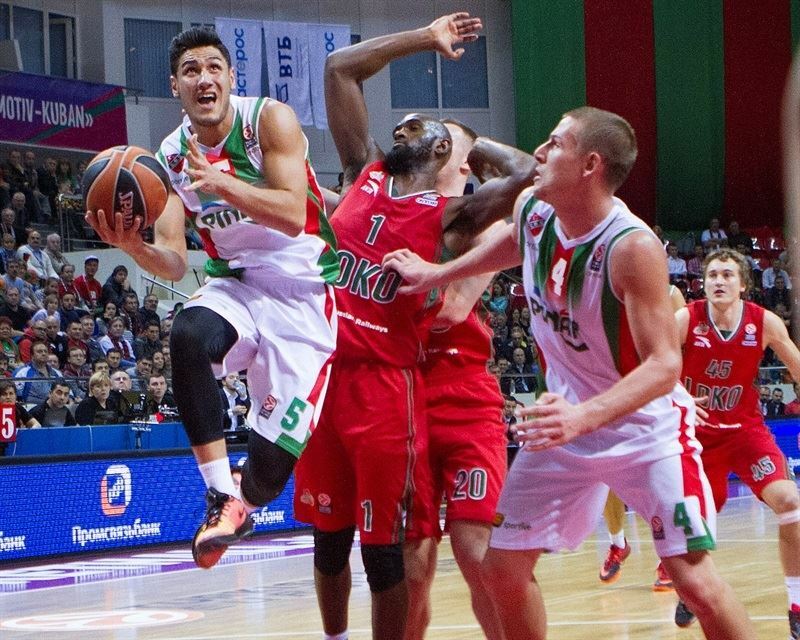 Lokomotiv Kuban Krasnodar remained undefeated in Group C by thrashing Pinar Karsiyaka Izmir 72-53 at home on Friday. 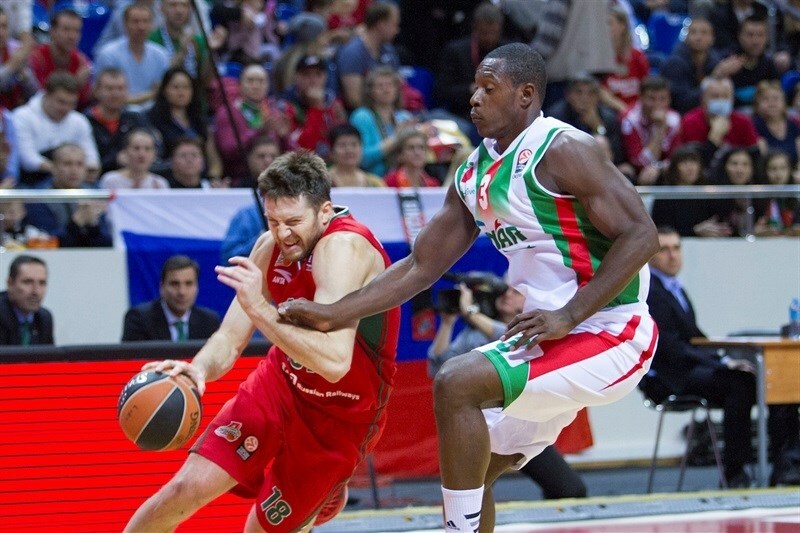 Lokomotiv improved to 4-0, while Karsiyaka dropped to 1-3. 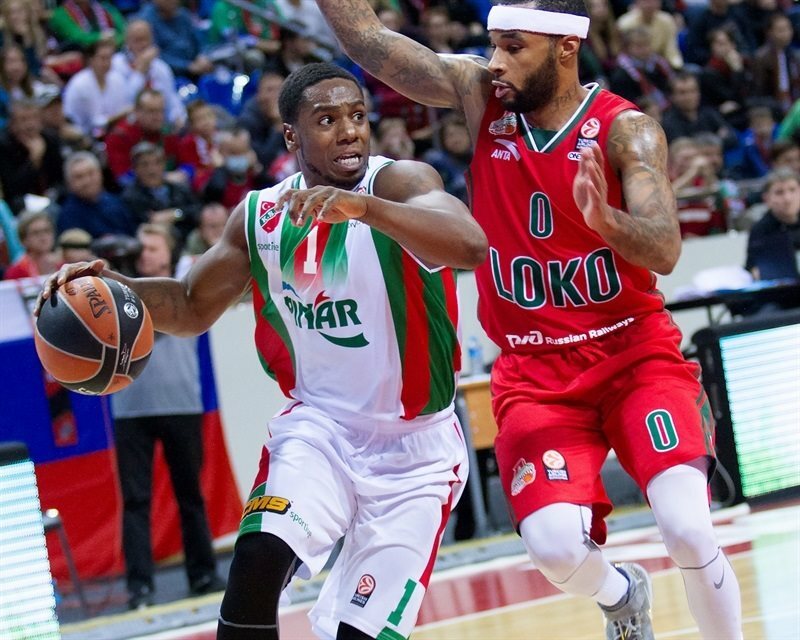 Malcolm Delaney and Evgeny Voronov led the winners with 15 points apiece and Victor Claver added 13. Joe Ragland led Karsiyaka with 15 points, Colton Iverson added 12, while Justin Carter had 10 for the guests. Ragland led an early 0-11 run that helped Karsiyaka to a 17-21 advantage after 10 minutes. Iverson shined in a 0-14 run that Kenan Sipahi capped with a jumper for a 17-30 Karsiyaka margin. 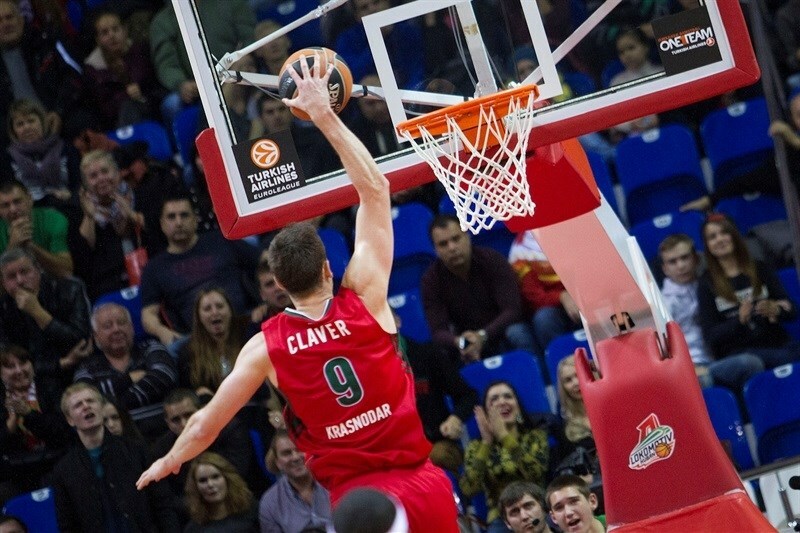 Lokomotiv got within 30-35 at halftime and a huge dunk by Claver gave the hosts a 39-37 lead soon after the break. Delaney stepped up for Lokomotiv to make it a double-digit lead, 52-42, at the end of the third. 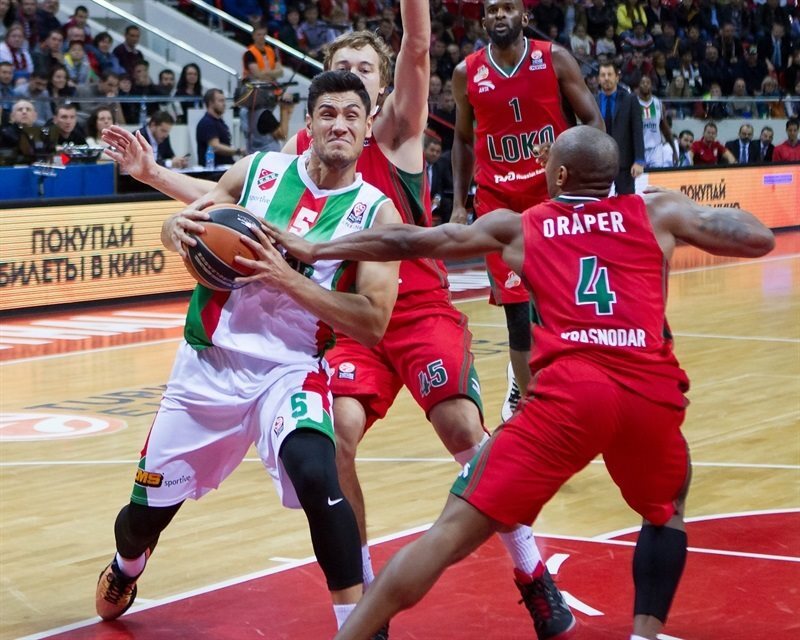 Lokomotiv improved its margin to 69-48 and cruised to another win. 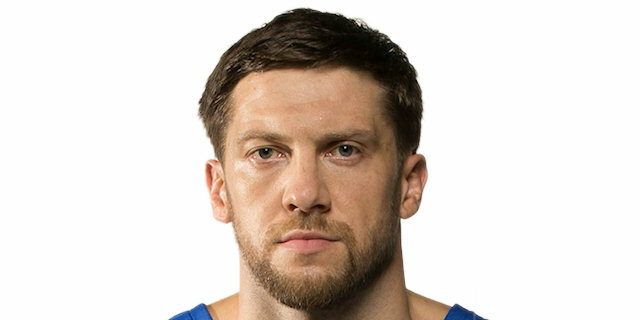 It took Evgeny Voronov 4 seconds to get Lokomotiv going with a layup. Justin Carter split free throws and a close basket by Victor Claver gave the hosts a 4-1 lead. Ragland took over with a three-pointer off the dribble. Kerem Gonlum also struck from downtown before Ragland followed a layup with his second triple. As Lokomotiv struggled to score, another three-pointer by Ragland prompted the hosts to call timeout at 4-12 after a 0-11 run. Voronov shined with a one-handed floater, which Claver followed with a triple. Voronov scored again before Justin Carter split foul shots and a three-pointer by Josh Carter boosted the guests' lead to 11-16. 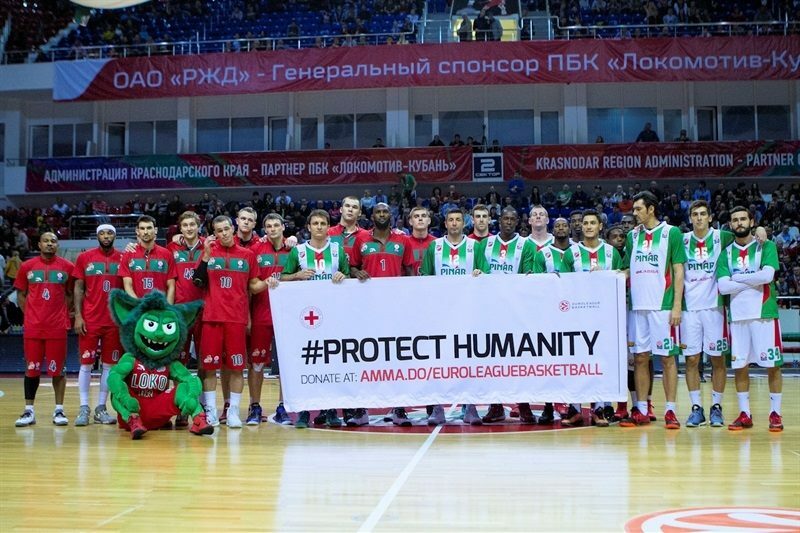 Kyrylo Fesenko shined with a big dunk and Malcolm Delaney added a jumper to bring Lokomotiv within 15-16. Claver scored in transition, but another triple by Ragland put Karsiyaka back ahead, 17-19. A dunk by Colton Iverson fixed the score at 17-21 after 10 minutes. Iverson drew a couple of shooting fouls and made all 4 free throws attempts early in the quarter. 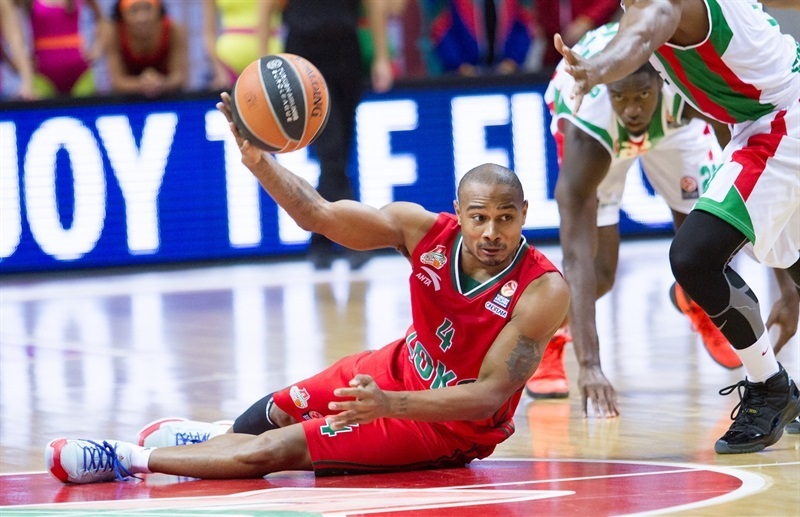 Iverson kept pushing Karsiyaka with a wild three-point play that made it a double-digit game. A jumper by Kenan Sipahi capped a 0-14 run and caused Lokomotiv to stop the game at 17-30. Aleksey Zozulin tried to change things with a three-pointer and Sergey Bykov added a jumper from the elbow before Karsiyaka called timeout at 22-30. Chris Singleton managed to stop Iverson down low, but Ragland and Juan Palacios kept the guests way ahead. Claver beat the shot clock with an off-balance jumper off the glass and Delaney added 4 free throws to make it 28-33. Gonlum shined with a fast break layup, but Delaney hit a jumper off the dribble to keep Lokomotiv within 30-35 as both teams headed back to the locker rooms. Both teams struggled to score after the break until Delaney made free throws. Gonlum kept pushing Karsiyaka with a backdoor layup to give the guests a 33-37 edge. Karsiyaka had problems circulating the ball and Voronov stepped up for Lokomotiv with a driving layup and Delaney found Claver for an easy basket that tied it at 37-37. Claver dunked off a steal in the passing lanes, after which Karsiyaka called timeout. Iverson split free throws, but Lokomotiv excelled on defense led by Dontaye Draper and Claver. Delaney took over with a driving layup and Fesenko added a two-handed put-back slam that boosted the hosts' lead to 43-38. Delaney hit foul shots, but Ragland stepped up with a driving layup. However a three-pointer by Draper boosted his team's lead to 48-40. Fesenko took over late in the quarter, but a layup by Ragland kept Karsiyaka within 52-42. Iverson took over with a big dunk in traffic early in the quarter. Andrey Zubkov quickly answered with a driving layup and a fast break basket by Draper made it a 12-point game. Chris Singleton swished a six-meter jumper that caused the visitors to call timeout at 58-44. Baygul tried to change things with a driving basket, which Voronov matched with a one-handed floater. Zubkov made free throws and added a fast break layup that sealed the outcome, 64-46. Voronov hit foul shots and bettered Justin Carter's dunk with a three-pointer for a 69-48 Lokomotiv lead. Justin Carter dunked again, but Lokomotiv started to use longer possessions to run the game clock down. 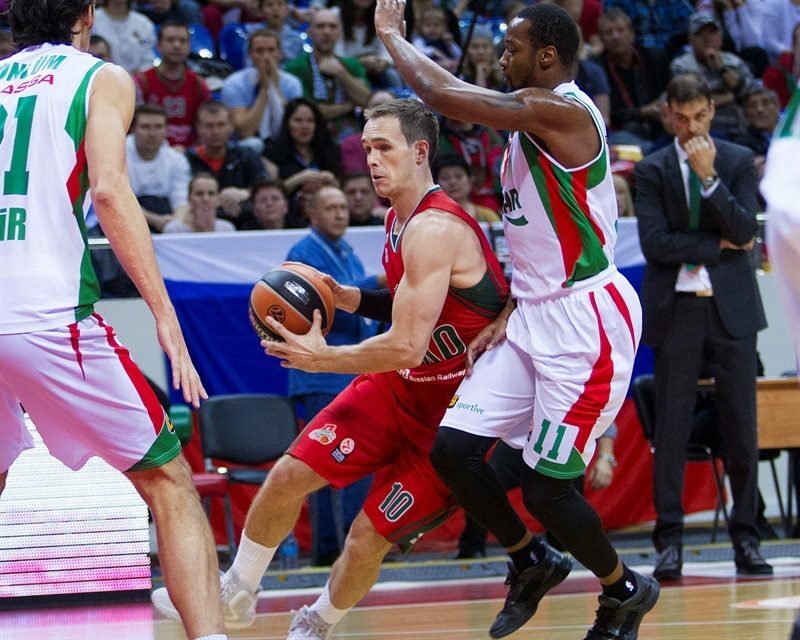 Nothing changed in the final three minutes, as Lokomotiv cruised to its fourth win in as many games. "I am very happy with this win. We are 4-0 in Euroleague and that tells a lot about the great job done not only by the team, but by the Lokomotiv Kuban organization as a whole. Today was a strange game. In the first half we didn't exist. We reacted, instead of acting. And still we were only down by five. At halftime, I told players to calm down and start the second half with a different approach defensively. Of course, we made changes in our defense tactically as well. Karsiyaka played a bad second half, but that was because of us. We were very effective. Of course, I want to thank all my players, but we need to give special credit to Dontaye Draper, who took care of Ragland, and to Kyrylo Fesenko, who was very helpful on both ends of the court." "We played two different games today. In the first half, we were acting smart, finding easy baskets and playing almost perfect defense. It all stopped in the second half. We didn't defend, committed silly turnovers and Lokomotiv hit open shots. Misses from the free throw line also let us down. You can't expect to win against Lokomotiv like this. They are a very good team, still unbeatable in the competition. 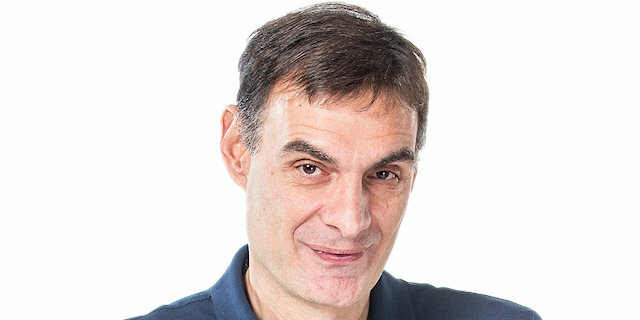 In the following games, we need to work harder." "That's a big win. In the first half, we made too many mistakes and were not on our level. In the second half, you saw Lokomotiv the way we should be. We only allowed Karsiyaka 18 points in the second half. Don't forget that this is the team that beat Barcelona. When we were losing in the first half, everyone was calm, we didn't panic. But we changed our approach on defense and thus won this game."